In March, after Israeli Prime Minister Benjamin Netanyahu made denying a Palestinian state a pillar of his winning re-election campaign, officials in the Obama administration signaled to the media that they would reconsider the U.S. government’s staunch diplomatic support for Israel in the United Nations. The U.S. government feigned “very substantive concerns” and declared the administration may “reassess (its) options going forward” in response to Netanyahu’s explicit rejection of a two-state solution. Mainstream media focused on the personal dynamics between the leaders of the two countries. CNN said the Obama administration felt “outright hostility” toward Netanyahu and the New York Times said the leaders had a “poisonous relationship.” They presumed the professed discord would imperil the political alliance between the two governments. In reality, there was no reason to believe a personal conflict would jeopardize the nearly 50-year-old U.S. government policy of providing Israel an unconditional shield in the General Assembly and the Security Council. It was obvious even at the time the Obama administration’s anonymous threats to reconsider its diplomatic protection of Israel were nothing more than posturing. 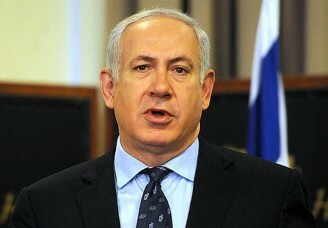 Netanyahu had broken an unwritten rule when he said in front of the camera’s what is stated in his Likud party’s platform: “The Government of Israel flatly rejects the establishment of a Palestinian Arab state west of the Jordan river.” Not only had this been written policy since 1999, but Netanyahu’s government – and every other Israeli administration since the state’s illegitimate formation in 1948 – has been carrying it out in practice. Obama has demonstrated little interest in supporting progressive policies in favor of human rights and social justice, but he shown himself zealously concerned with them in the abstract through grandiose and noble rhetoric. During the first six years of his presidency, Netanyahu actively opposed a Palestinian state without Obama’s administration withholding any of the ideological, diplomatic, military and economic support that is a necessary condition for the occupation’s survival. As long as Netanyahu kept quiet, Obama could pretend his administration’s support for Israel was contingent on Israel seeking a permanent peace deal with Palestinians. Obama urged “cooperation and compromise” and continued the pretense that a “peace process” was not already long dead. But when Netanyahu publicly declared in stark terms that he has no intention of permitting a just solution to Israel’s colonization of Palestine, he made it impossible for Obama to continue the charade. Netanyahu and his fanatical government ministers long ago realized that Obama had no intention of seeking actual concessions from them regardless of how much land and water they stole, or how many Palestinians (or Americans) they killed. In reality, Obama was happy to let the Israeli government keep slaughtering Palestinians in Gaza, expanding checkpoints and repression in the West Bank, and further carving up the West Bank with new illegal settlements while offering nothing but the most mild, toothless complaints. This was not inevitable. In January 2009, Netanyahu had ordered an immediate halt to the IDF’s destructive rampage in Gaza, Operation Cast Lead, which had killed more than 1,400 people in Gaza, the day before Obama’s inauguration ceremony in January 2009. Presumably Netanyahu believed the failure stop the second assault on the blockaded territory in a year would cause the incoming Obama administration to support an independent investigation, cut military aid, dispute Israel’s argument that it “had a right to defend itself,” or end the U.S. government’s facilitation of the carnage. But it turns out Netanyahu and the Israeli regime needn’t have worried, as no such change in policy was in the cards. Obama’s new administration would block the Goldstone Report presented to the Human Rights Council, and ensure complete impunity for the Israeli crimes that occurred subsequent to Obama’s election. This likely emboldened Netanyahu to unleash even more wanton destruction and horror in July 2014, when Israel launched Operation Protective Edge on trumped up accusations against Hamas. “Having falsely accused Hamas leadership of orchestrating the kidnapping of the three Israeli teens in June, and then assailing the group for ‘purposely playing politics’ when it rejected the Egyptian ceasefire proposal that offered it nothing beyond a return to the status quo of the siege, (Secretary of State John) Kerry and the Obama administration once again provided the Israeli military with the diplomatic cover it needed to escalate the violence,” writes Max Blumenthal in The 51 Day War: Ruin and Resistance in Gaza. Despite extensive documentation from the start of the military campaign that the captive civilian population in Gaza comprised the vast majority of the dead and injured from tank and naval shelling, drone missiles, F-16 bombs and heavy artillery, the Obama administration cast the only vote against establishing a war crimes investigation by the United Nations. A few days later, the administration helped resupply the Israeli army with weapons, including 102mm mortar rounds and 40mm grenades, that the IDF could use to keep up their prolific killing spree. In May, any doubts that the personality conflicts had actually imperiled the hand-in-glove military cooperation between the two countries, as mainstream pundits so forcefully proclaimed, was put to rest. The Obama administration approved an arms sale for $1.9 billion to Israel – in violation of domestic and international law, and against the explicit demands of human rights organizations such as Amnesty International. Much as the military cooperation between the two states has carried on seamlessly, so has the diplomatic cooperation. Despite Israeli officials hinting the government might finally decline to vote with the U.S. in the 24th annual UNGA condemnation of the Cuban embargo, predictably Israel was the only country in the entire world to join the U.S. in defense of the embargo. The measure passed by a vote of 191-2. Not surprisingly, unconditional U.S. support for Israel in the United Nations has also continued uninterrupted. “Traditional Voting Pattern Reflected in General Assembly’s Adoption of Drafts on Question of Palestine, Broader Middle East Issues,” states a U.N. press release after the passage of six resolutions concerning Israel. Indeed, the pattern was traditional: the U.S. and Israel, with a few Pacific Island states, voting against the rest of the world (minus whoever the U.S.-Israel alliance could persuade to abstain). In a resolution on the illegally occupied Syrian Golan Heights, from which Israel steals valuable natural resources and where many prestigious Israeli wineries are located, the U.S. government rejected the position that Israel follow previous Security Council resolutions and withdraw to the 1967 borders. As these votes were not reported in the mainstream American press, the American public can be forgiven for not realizing the meaninglessness of the “rift” between American and Israeli government officials, which has not impacted at all the U.S. government’s longstanding record of rejecting world opinion and cooperative efforts to achieve a just peace. The corporate press have demonstrated that their policy analysis consists primarily – if not entirely – of dissecting style, empty rhetoric and official proclamations. Concrete actions and their consequences are of little concern.